While the Minnesota Vikings have a realistic chance to become the first team to play in a Super Bowl on their home field, there will still be fans attending Super Bowl LII who will be in unfamiliar surroundings. 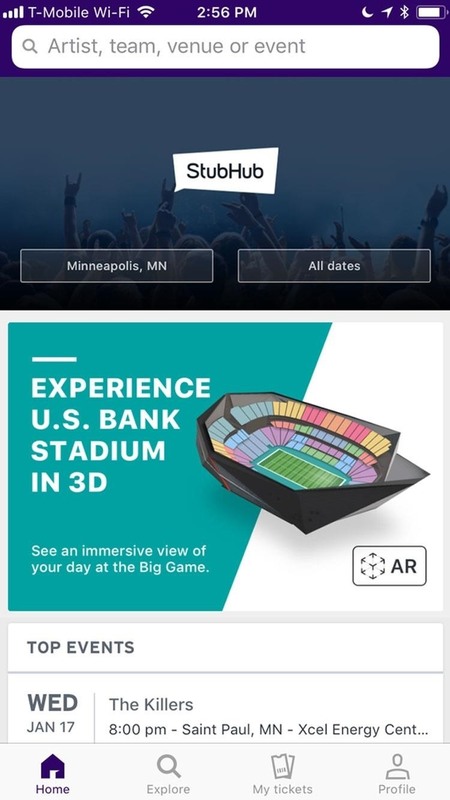 In addition to selling them tickets, StubHub wants to coach fans on finding their way around the US Bank Stadium in Minneapolis, Minnesota, and they'll do so with augmented reality. Next week, an update to StubHub's iOS app will deliver an ARKit-powered AR experience, which will be accessible from the home screen of the app and the Super Bowl section of the app. 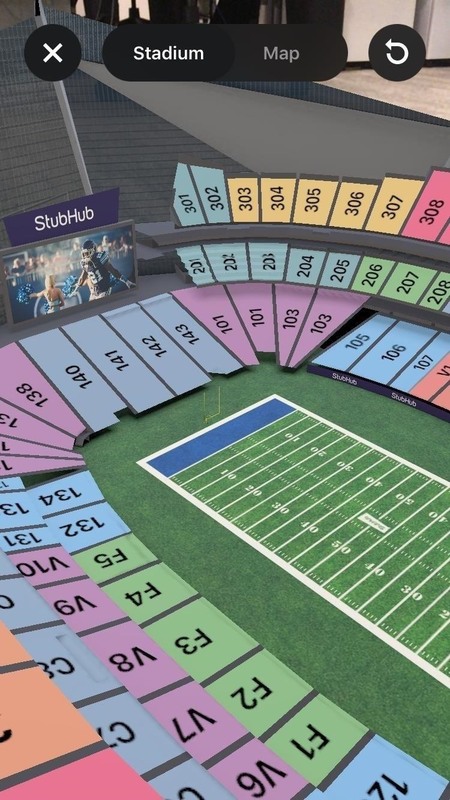 According to a StubHub spokesperson, fans will be able to use the app to view 3D models of the interior stadium to help them find their seat, and use it to view map-style graphics of the facility's surroundings to help familiarize them with parking, transit lines, and entrance gates. (Selecting points on the model will display additional, relevant information.) The AR experience will also direct fans to the Super Bowl pre-party. As anyone who has tried to attend a football event at a stadium knows, figuring out where to park, which gate to enter, and where your seats are beforehand can save you precious energy that can instead be used for cheering for your team (or commanding the coach to run the damn ball). The College Football Playoffs took a similar approach, offering an AR experience to direct fans around the Mercedes-Benz Stadium in Atlanta via a dedicated app for iOS and Android. In that case, the organization's app execution resulted in a very buggy experience. But since StubHub has been working on its app since 2010, we'll likely get a smoother experience for the Super Bowl-focused app.